This is a book of academic essays in two parts, on the topic of Ayn Rand's theory of concepts. The first part is an exposition of various aspects of the theory, starting with perception and going towards a detailed discussion of the Objectivist epistemology which centers on concepts and induction. The second part of the book is a discussion which contains various critiques of the theory and answers to those critiques.The first half is thoroughly enjoyable and thought-provoking. As a computer scientist interested in artificial intelligence, it has helped clarify what processes are necessary to a conceptual consciousness, and in broad strokes how one might go about building one. Of course, this is an epistemology text, not a "cognitive science" text, so the discussion here is at a very high level.Nearly all the essays are very well written and the authors say what they mean in a clear and concise manner. A couple of the essays in the second half are a little bit all over the place, though. But the replies help distill what is important to the discussion at hand.The second half devolves at the end into a disagreement about perceptual fallibilism vs infallibilism. This is unfortunate because the perceptual level is the least interesting part of the theory (the conceptual is where the meat is). It's also unfortunate that the fallibilists in the group give only very hand-wavy explanations of their position. The final essay nicely calls out the equivocations and makes a compelling case for infallibilism.Definitely recommended for anyone interested in modern developments in epistemology. 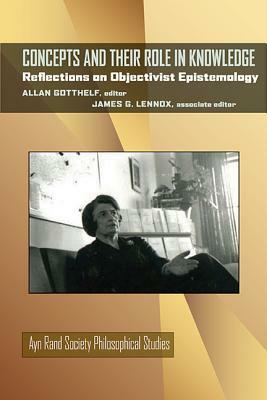 Excellent and detailed discussion and debate about Objectivist epistemology by academic experts.